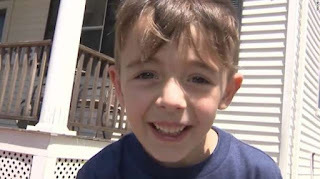 Robbie, whose ambition is to become a cop when he grows up, took a ride with his dad and saw him drive past a red light, an act which he thought was wrong, and called the cops to report the offense. Mike Richardson and his son Robbie were on their way to a car wash last Saturday, May 28, when the father stopped at a red light before driving off despite the red light still being on. "He said he was going to call 911," Robbie's father told CNN. And as soon as he got home, he did as he said he would- call the police. "We were cooking on the grill, Robbie went in the house and not even five minutes later he came out with the phone and was like, "Somebody called." 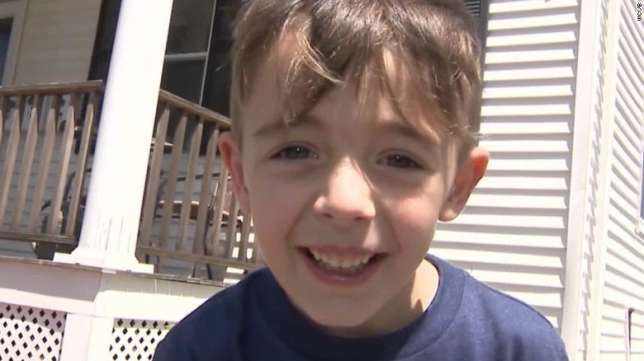 Quincy Police Department in Massachuetts has now posted the 911 call made by the 6-year old, in which he can be heard saying; "My daddy went past a red light." The call has made Robbie's mother, Joleen MacDonald proud of him, as she had reportedly once told him to call 911 in any similar instance to the one he witnessed. "He thought he was doing the right thing," she said. "It brings a little humor to the world, that's what we need these days."